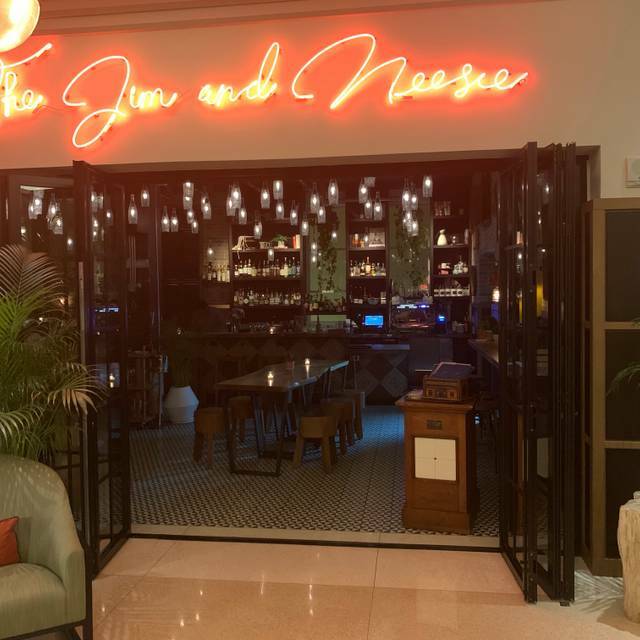 The Jim and Neesie is Generator's lobby bar and restaurant. The style of service is unlike any other in Miami. Award winning bartenders are not anchored to the bar but rather serve the floor as hosts moving freely through the room. Composed light dinner fare encourages guests to meet with a friend and stay for the evening. Kitchen closes at 11:00pm Sunday-Thursday and 12:00am Friday and Saturday ! Top notch service, delish food, outstanding drinks. Can't wait to go back. This place is amazing & absolutely beautiful. My boyfriend & I went to celebrate our 3 year anniversary & we could not have gone to a better place. Chef Jorge is amazing and we will be coming back very soon! Service and food and drink were very good. Only detractor was heavy hand on the salt in the kitchen. The wait staff and hostess went out of their way to be friendly and make us comfortable. It is a small seating area and the lighting was a bit too low requiring a phone to light up the small font printed menu. The music while energetic was a bit too loud for the size of the room requiring a loud speaking voice with tables placed very closely on both sides you are forced to listen to someone eles's conversation. They have a limited menu, while food was good the portions are a bit too small for the price. They smash their burgers which are overcooked and dry lacking the usual burger juicy feel. Disappointed by the lackadaisical service, especially on a Fri night that was not overly crowded in the restaurant. The one drawback of an otherwise nice dinner. The food was different but wonderful. Had a lovely dinner with my family. Nice atmosphere. Portions are quite small for the main course. Especially for the price. The octopus dish was equivalent to an appetizer. Opted not to return the following night. Great food, service, and vibe. Food was really on point and unlike many restaurants these days it was not over salted. Everything was fresh and you could taste the food as it should be. It was excellent. I’ll definitely be back. Great food and service was very good!!! Awesome. Easy reservations. Very accommodating. While north of the chaos on Collins, very accessible. Food was carefully prepared and executed brilliantly. Vibe was low key but chill. Would bring friends next time. Suspect it’s louder later in the evening but this place has a great, intimate vibe and serves creative, high quality food in both small and large plate portions. Octopus, cacia e pepe spaghetti, hamachi tiradito we’re all home runs, as was one (actually, three) of the best dirty martinis we’ve ever had. We had an amazing time at The Jim and Neesie. The food was creative, and consistently delicious. The cocktails were inventive, yet approachable. 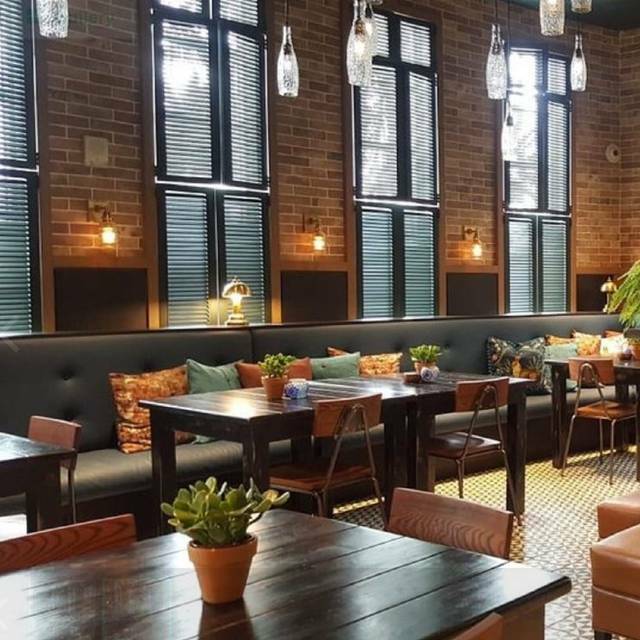 In a city of large-scale dining rooms, this intimate restaurant felt chic though welcoming at the same time, with a staff who are clearly passionate about their work which translates to an awesome dining experience. A great value and new gem. We'll most definitely be coming back. I realy liked the place. Drinks are very well made and food is delicious. You can see that owners care a lot about the place. They are attentive without being too much. Overall it is great. You need to reserve tables as it isn’t a big restaurant. AMAZING staff - whoever hires here is doing a great job! From the hostess to waiters to bartender to busboys they all worked so cohesively and everyone was smiley and super friendly. Lots of restaurants forget part of the dining out experience is the staff and having a bad staff (like many places in Miami do, Likely because of the mandatory gratuity many places have) can ruin the experience. Somewhat limited menu but had three appetizers and three entrees and everything was excellent so you can’t go wrong with the food. Also the drinks we had were fantastic and All came with a little background story. Will most surely be back to this place! Horrible experience. They kept saying that they were busy but it is a tiny tiny place with less that 10 tables. It took 2 hours and a half to start eating. After 1 hour the waitress asked if we were okay which it’s ridiculous. Had the cacio e Pepe pasta. It was very very heavy. I love food and never leave my plate empty, but I couldn’t finish this dish because it was too sickly and too many overwhelming strong flavours on the plate. My husband had the burger and he said it was very good. He asked to switch the papas bravas to a kale salad which they wouldn’t accommodate- that was a tad disappointing. Had the carrot tops to start - that was delicious. Had bread and butter pudding for desert. This was meant to have white chocolate in it, we couldn’t taste it. The desert was average. The food is great, really unique dishes. The vibe is unpretentious. The staff is very knowledgable of the ingredients and pairings. We loved it, it's a better meal than 90% of the restaurants on south beach. The food is phenomenal and the service was great too. This is a cozy, hip spot with unique offerings. The lighting is a little dark, but the ambiance makes up for it. A definite gem! A real treat! Delicately crafted dishes such as the simple kale salad, asparagus, crispy chicken and the steak special were incredible. We are going back! A great addition to the neighborhood. Inviting yet intimate space with great service and incredibly good food. Keep it up! Christmas dining and the service and food were amazing. Kia recommended the Airline Chicken and my entire family agreed from tasting mine that it was the best they’d ever had. My husband’s burger was cooked to perfection and both of our adult children cleared their plates of salmon. The octopus was a perfect shared appetizer for all of us! The food is so very flavourful. It was our favourite meal after spending 9 days in Miami. We have been to many of the hot spots but the vibe in this place hits the right notes of hip yet understated and so very memorable. You must not miss out on trying this gem. Hats off to the chef and team. The food is surprisingly spectacular. The place has a humble, friendly vibe. The choices on the menu are few. I just didn't expect the very special quality of the cooking and preparation. After my first time dinner here, I came again the night after. Relaxed but upbeat environment. The food and drinks were all amazing! The service was on point. Overall experience was perfect! My boyfriend and I went with another couple and had a really awesome experience. Loved this neighborhood gem! Amazing cocktails and delicious food. Intimate restaurant with great service. Will be back! 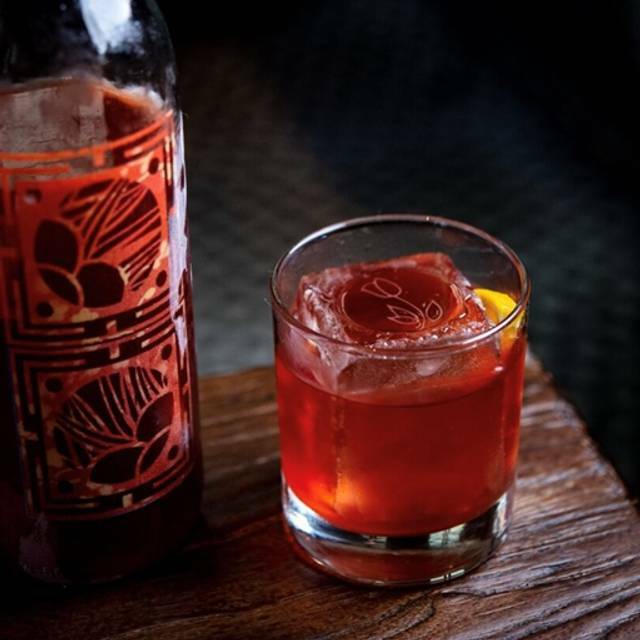 This came up on Eater Miami’s Hottest Restaurants in Miami Right Now, November 2018 and we decided to take a chance on this place in The Generator Hostel. Glad we did. Staff members Kip and Caroline were genuinely friendly and enthusiastic about this little gem. Cocktails were on point. Well thought out and expertly crafted. The OMFG Maragarita with clarified lime juice was addictively delicious, the Manhattan was sublime and sensuous. The Old Fashioned was probably the best one I’ve ever had. Menu is not huge but everything we tried was delicious. Will be back, probably next weekend. Compliments to the Chef and staff. Cheers! I went with a date. I read a review in the Miami Herald so I told my friend, let’s try this new place. It was better than I could have imagined. Food was delicious, the chef came to our table and asked us how we liked it. The manager came to our table several times to chat and see if everything was to our liking. It was a great overall experience. The next day I told all my colleagues about it. They will be visiting.